Review adding/subtracting monomials (like terms). 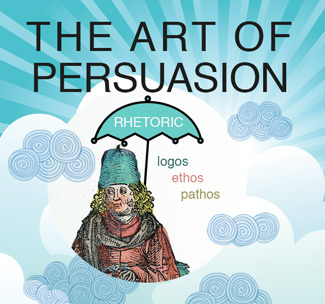 This allows me to integrate this topic for review. I’ve had great success teaching this topic to students, so I would like to share my favorite resources for teaching exponent rules with you, in case you are looking to try something new! 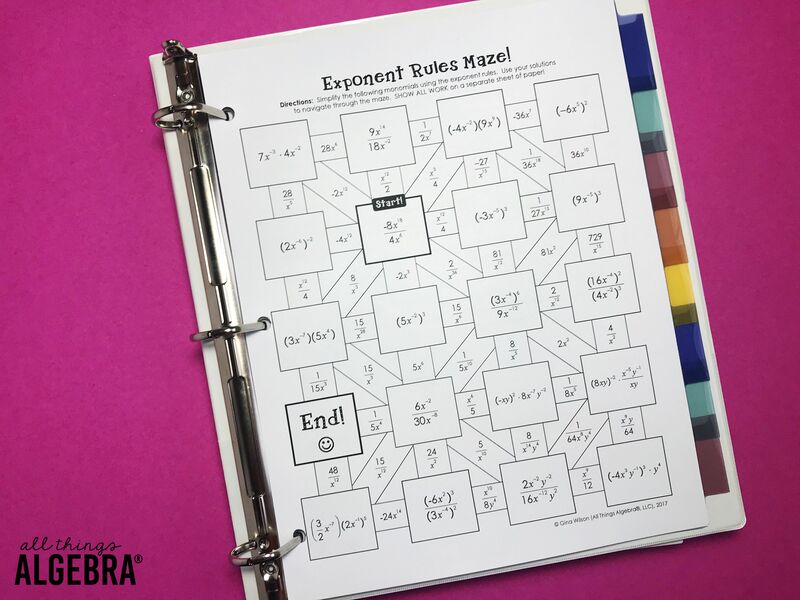 Exponent Rules Graphic Organizer: This is a FREE item in my TpT store. I always like to summarize the exponent rules using this tool. It really helps students see everything on one page, and gives some examples as well. 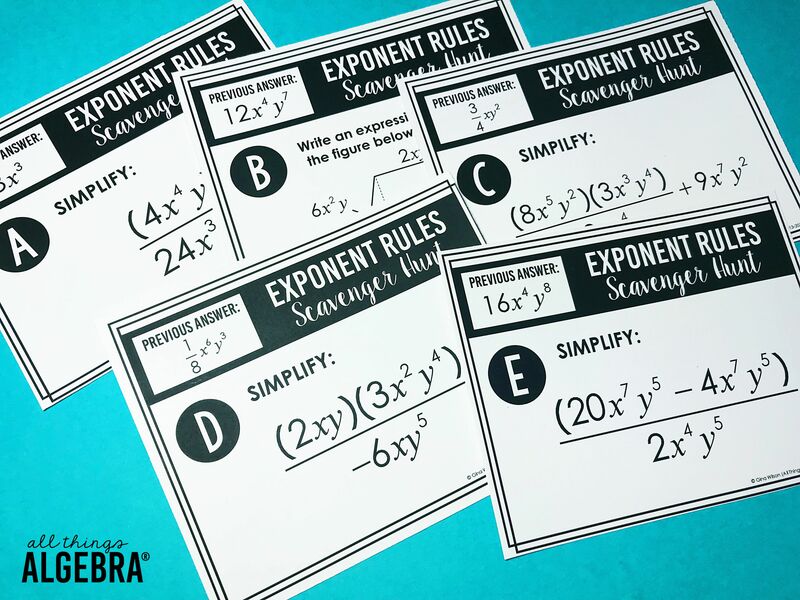 Exponents & Exponential Functions Unit: If you are looking for notes, homework assignments, review materials, assessments, and a whole lot more to teach an exponents unit, this is a super resource! 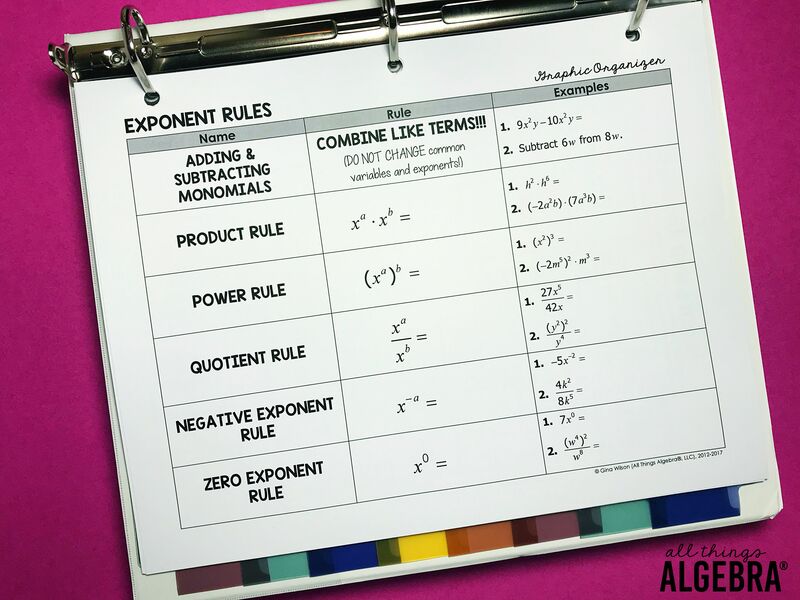 In addition to all the rules, this unit also covers graphing exponential functions, exponential function applications (exponential growth and decay, geometric sequences), scientific notation, and simplifying radicals. 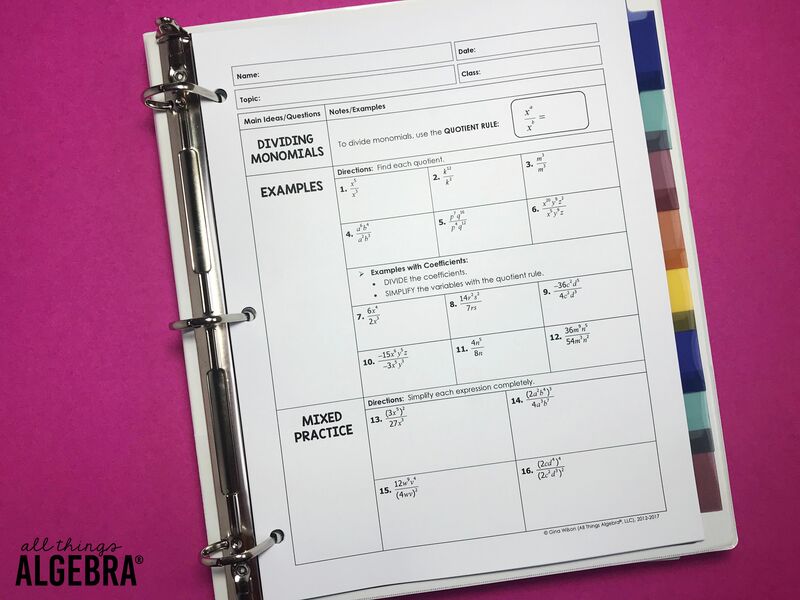 Exponent Rules Scavenger Hunt: This activity works so well as a reinforcement of the rules using only positive exponents. 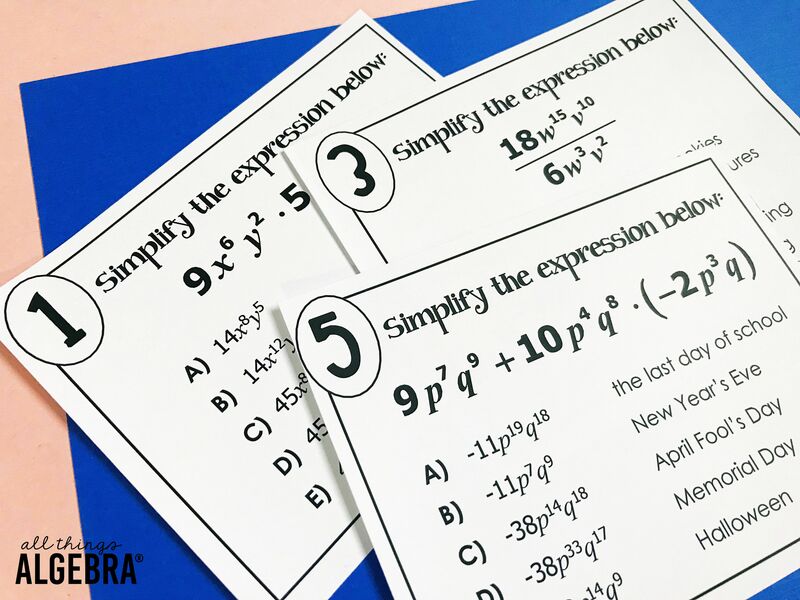 I use this activity right before teaching negative exponents to ensure my students have a solid foundation before we tossing in those negatives! The answer they get to one problem will lead them to the next. 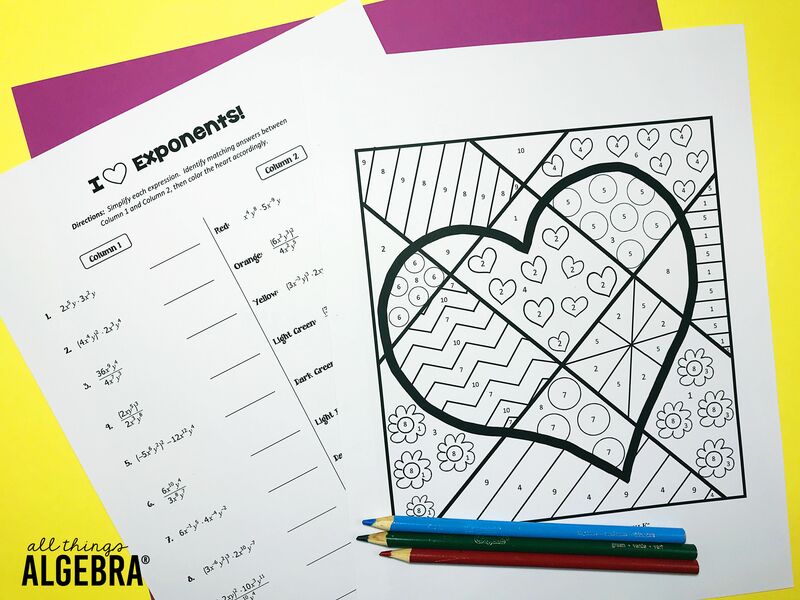 Exponent Rules Coloring Activity:Who doesn’t love coloring? My students adore this activity and we always seemed to be teaching it around Valentine’s Day, so they heart fit in quite well. 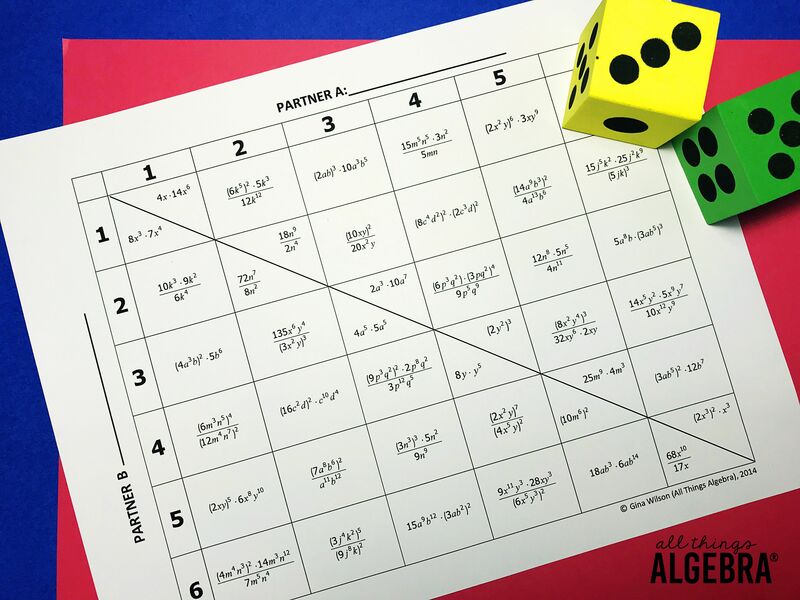 Exponent Rules Rolling Review: This is a partner activity in which students roll two dice. The dice reveal two problems that must be solved. Each partner solves and problem. They should get the same answer, if not, they need to work together to identify and correct any mistakes. 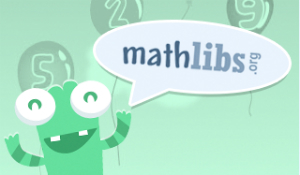 Exponent Rules Math Lib: Always a favorite! Students simplify the expression at each station to reveal a funny story about a teacher in their building. 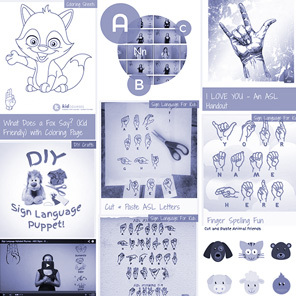 You can customize these to teachers in your building and interests of your students. 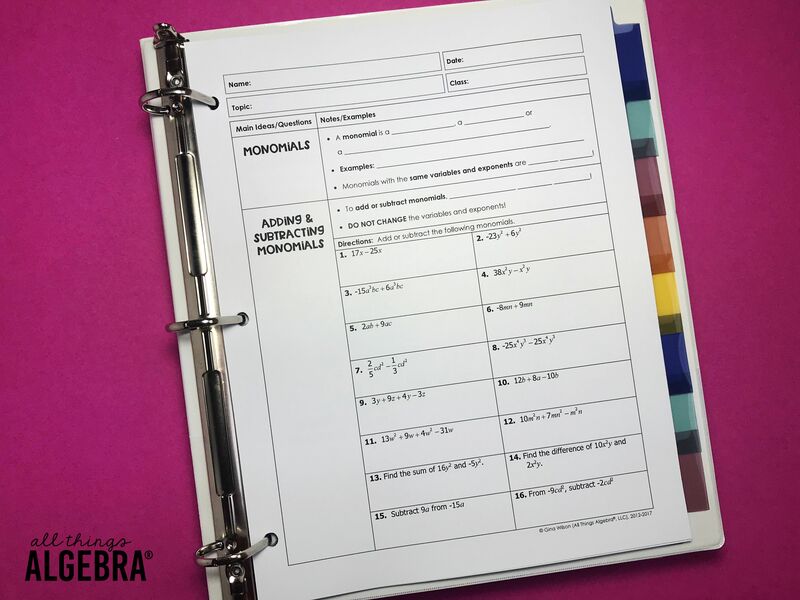 I hope you find something in here that makes teaching exponents a little easier and a lot more fun!